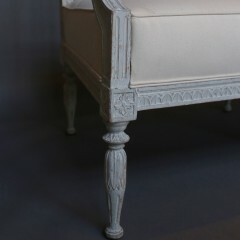 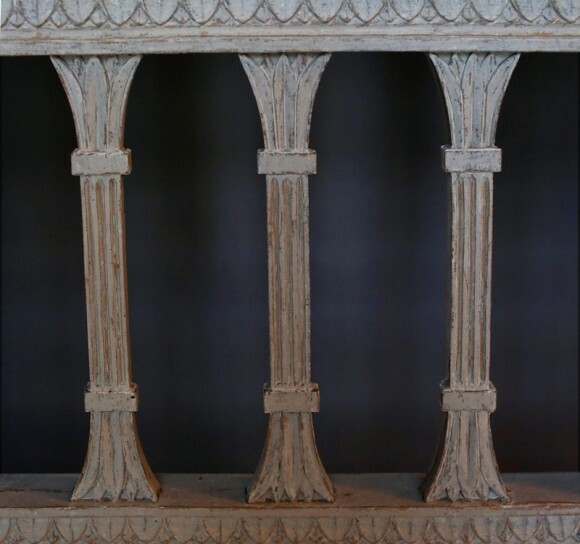 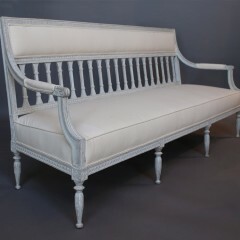 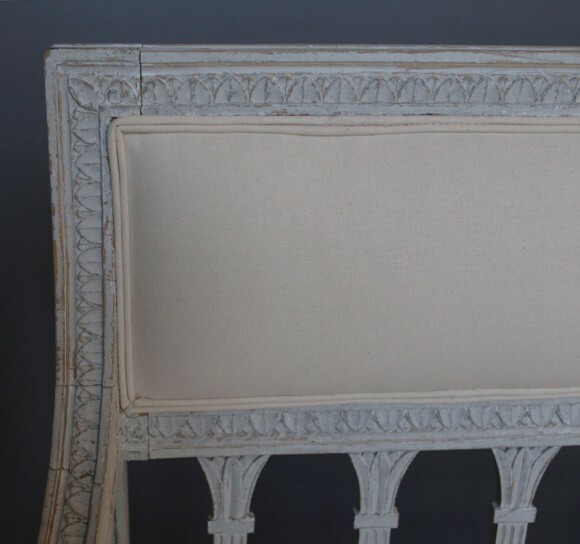 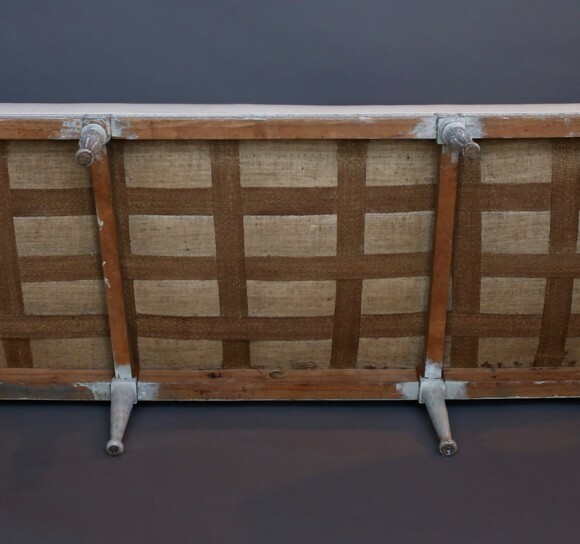 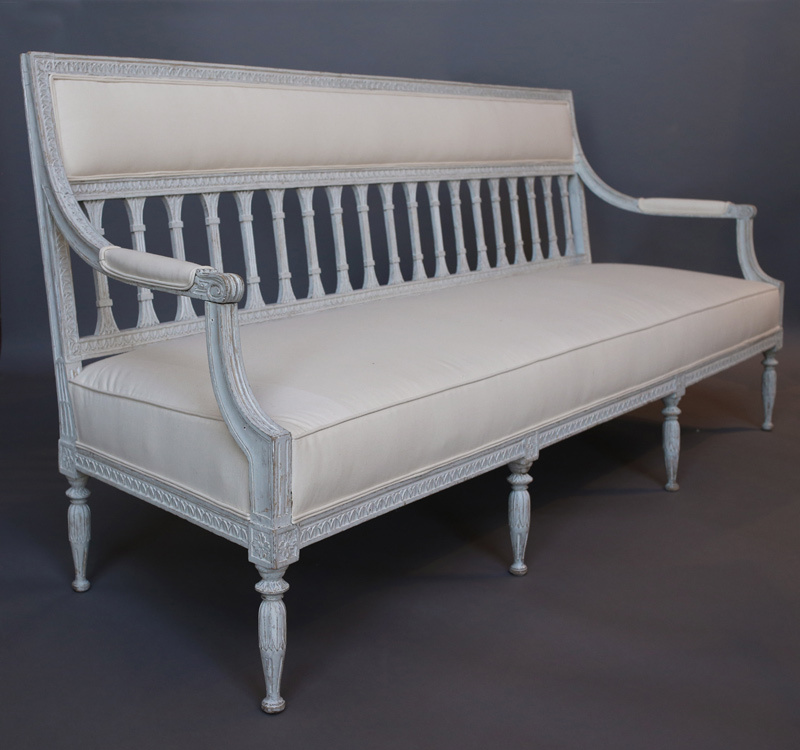 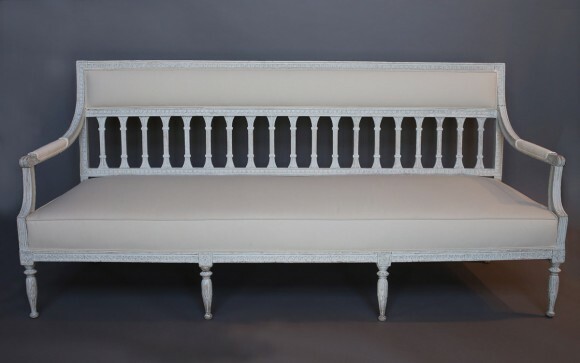 Gustavian bench, Sweden circa 1790, with a Stockholm hallmark and retaining its original painted surface. 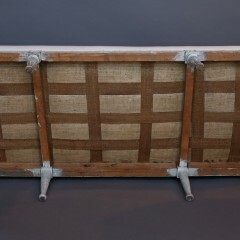 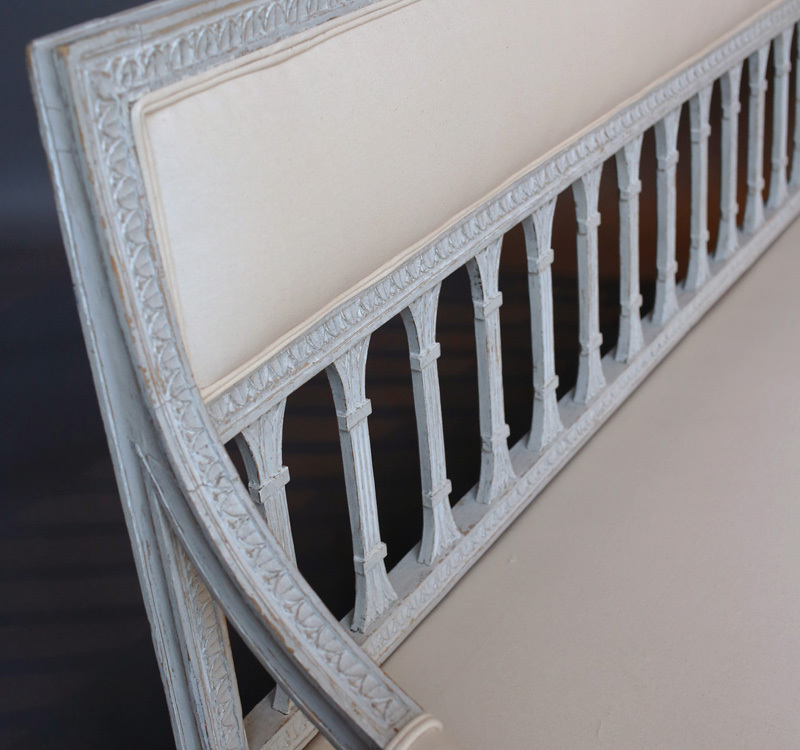 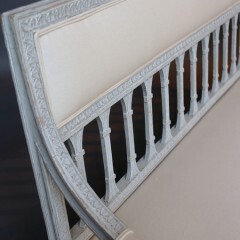 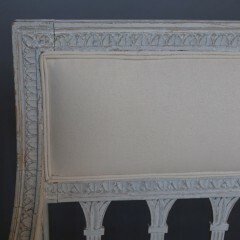 Egg and dart molding surrounds the seat and the back, running down the arms to the upholstered rests. 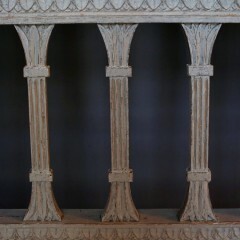 Simplified acanthus leaf carving decorates the legs and terminates the splats.